In this Q&A session we answer two FBA High Roller’s questions. Thank you Brandon Clubb and Antonio Tocco for sending your questions in. The first question from Brandon Clubb is to how to limit the order quantity and prevent competitors from buying lots of his inventory. 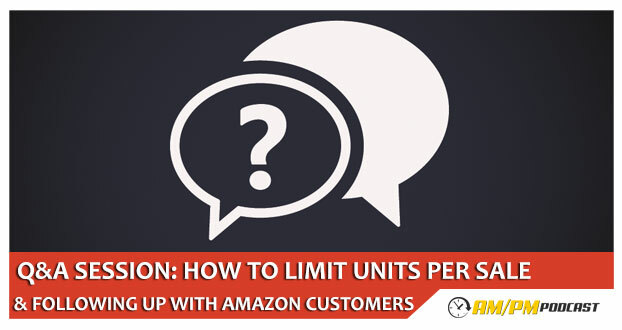 Where and how do you set limits for how many units a certain individual can order from you? What are the benefits in setting a limit for how many quantities that can be ordered? The second question from Antonio Tocco is that he got 6,000 emails from the recent sweepstakes he did with a magazine and he would like to know on what will be the first few good steps to do with the emails he gathered. What are effective ways in marketing your product through social networking? Listen to this podcast for the answers.